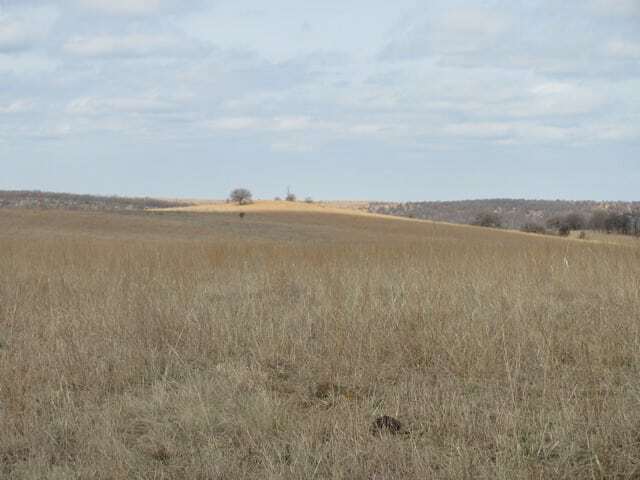 Property Description: This ranch consists of approximately 3158 acres of a mosaic mix of open native prairie, introduced forage bottom land and Cross Timbers vegetation. Elevation changes from 1000 ft. to 730 ft. present a varied and scenic terrain. The Tallgrass Prairie forage base is found not only on the open prairie but in the many timbered areas that have been opened up with burning and judicious herbicide treatment. Post oak, blackjack, hickory, persimmon and sand plum are some of the upland species while red oak, walnut, sycamore, pecan and red bud are just a few of the bottomland species that are found on the spring fed Little Rock Creek and its tributaries. 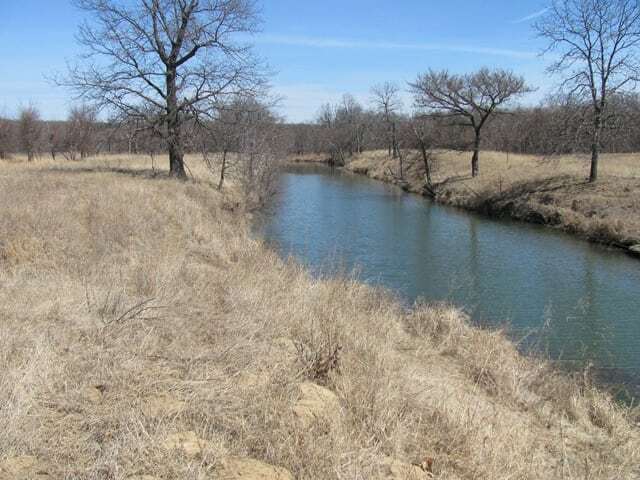 The main portion of the ranch consist of approximately 2675+/- acres, all contiguous. 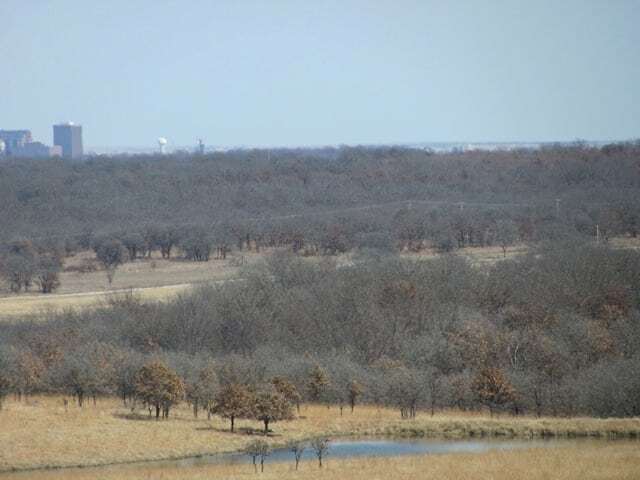 There are possibly 4 tracts, north and south, varying in size from 25+/- acres to 437+/- acres that would be considered for division and would be priced depending upon size and location. 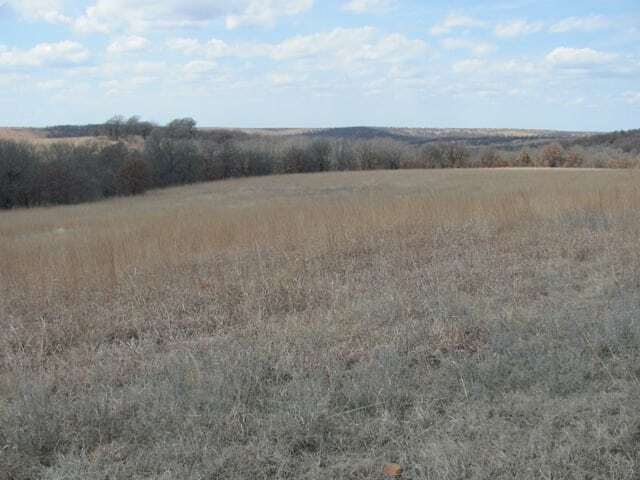 The property reflects the owner’s long term goal of creating an agriculture grazing base while maintaining sustainable wildlife habitat to enhance quality deer, turkey and quail populations. 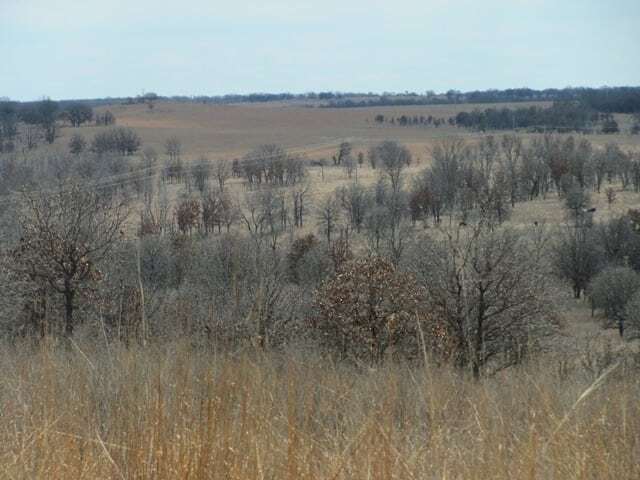 Acreage: The 3158 acres, +/-, are located in Osage County and therefore sell as surface only. The oil production on the ranch is leased by the current land owner and will continued to be maintained by their oil company, which is one of the most progressive independent oil operations in the area. Location: The ranch adjoins the internationally renown Frank Phillip’s Wooloroc Museum and Wildlife Preserve established in 1925 which adds additional uniqueness to the ranch. More information can be found at www.wooloroc.org. As history goes, Frank Phillips and friends gathered at the old cabin on Little Rock Creek to “relax and visit”. 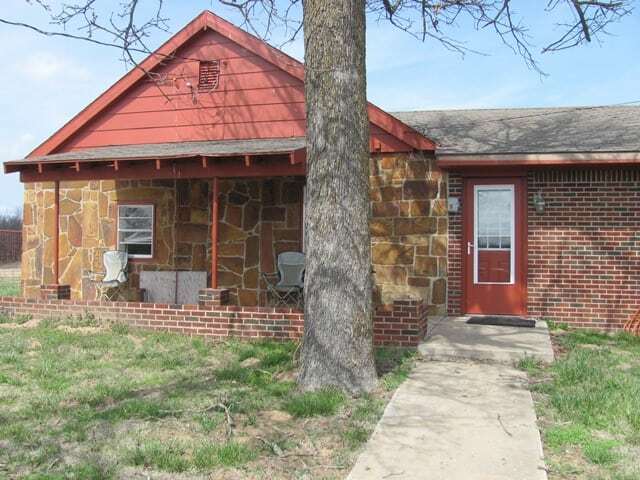 The property is accessed approximately 9 miles southwest of Bartlesville on Highway 123 by turning north on County Road 2145 or about 5 miles west on Highway 60 then south on County Road 2145 for 4.25 miles. The properties East border is County Road 2145. Bartlesville is within 10 to 15 minutes and Tulsa is less than an hour from the ranch. Grazing/ Forage: As part of the ranch’s management program, it has received controlled burns in the spring for the last 5 years which creates the opportunity for native grasses to flourish in some of the timbered areas. Additionally, certain areas have been applied with Spike herbicide to release native forage growth, as well as, creating edge for wildlife. Portions of the ranch have been sprayed with a mixed brush rate mixture of Remedy and Grazon in 2012 and 2013. An additional 1000 acres is scheduled to be sprayed in 2015. The property has recently been stocked with cows and yearlings. A new corral system has just been completed and is conveniently located for processing and shipping. Several additional sets of steel catch/processing pens are situated in other areas of the ranch. With additional cross fencing, the roughly 300 acres of introduced forage, primarily Bermuda based, offers the opportunity to increase grazing capacity and livestock management. Improvements/Equipment: The home located on Little Rock Creek that is utilized as a family retreat and was completely remodeled in 2012. The approximately 1500 sq. foot home has 3 bedrooms and 2 baths to provide a focal point for weekend, vacation hunting, fishing and other recreational activities. 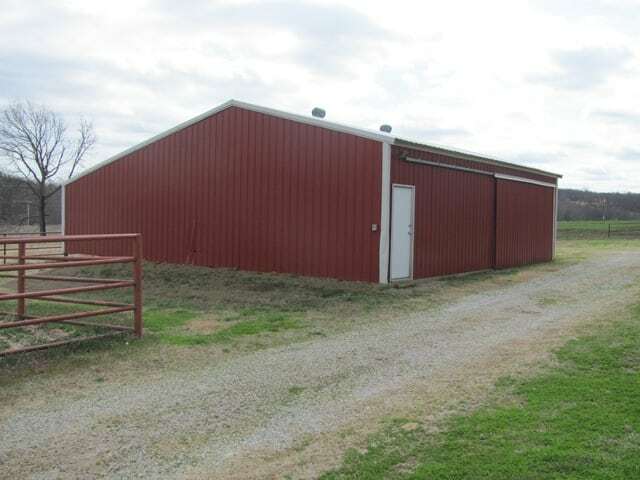 A 50’ x 30’ shop and storage building is adjacent, as well as, a steel corral. 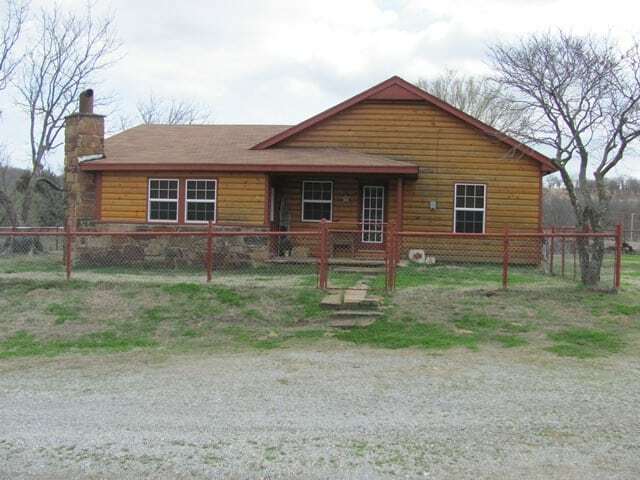 A small home utilized for hunters or weekend guests is located just west of County Road 2145 in the central portion of the ranch and was remodeled in 2010. 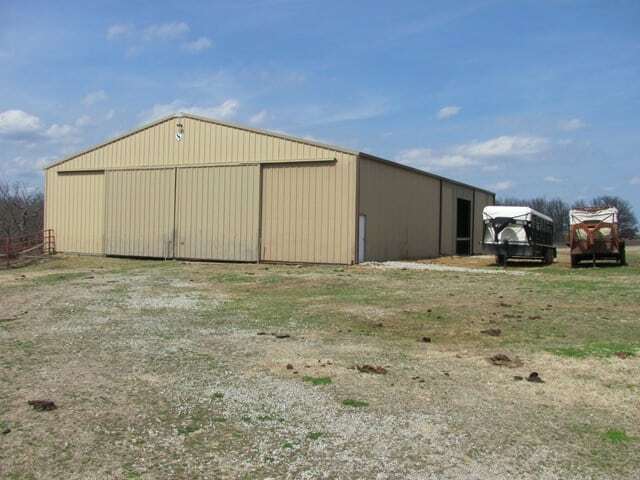 The new corral system, shop and overhead feed storage bin are located in the same location. The Ballew Ranch original headquarters is accessed from the same county road on the north portion of the ranch. It is also located on Little Rock Creek. 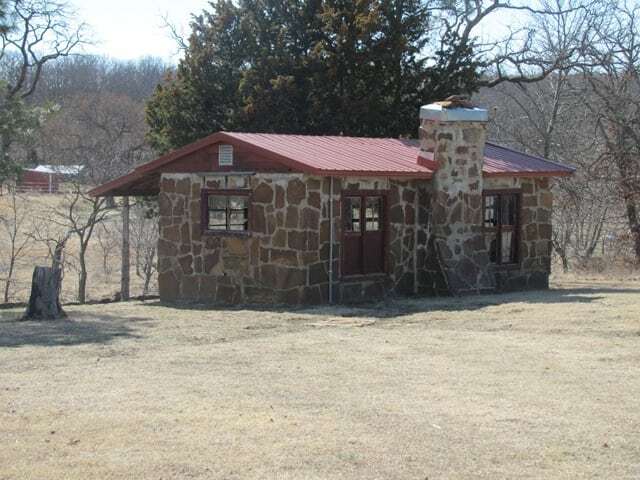 Utilities and rural water are on location, although the small rock ranch house would need to be completely renovated to be livable. 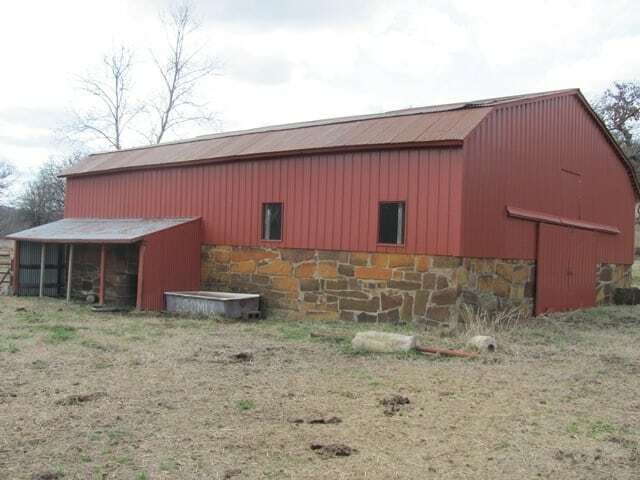 Steel corrals and pens are located here, as well as, an old barn with a hay loft that is still in relatively good condition. All fixtures, except personal items, will transfer with the ranch in addition to all the equipment which will be listed in a separate attachment. 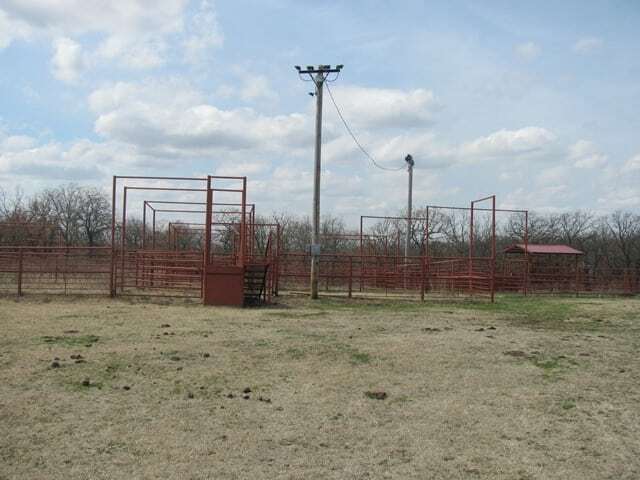 The ranch is extremely well fenced on the perimeters with several miles of relatively new partition fencing. Wildlife/ Recreation: The ranch and the area have been managed for several years by the owner and adjoining land owners for quality wildlife habitat. A concerted effort has been made to develop trophy deer and balance the buck/doe ratio. Considerable progress has been made to enhance the quail population to the point that meaningful hunting has been available the last few years. 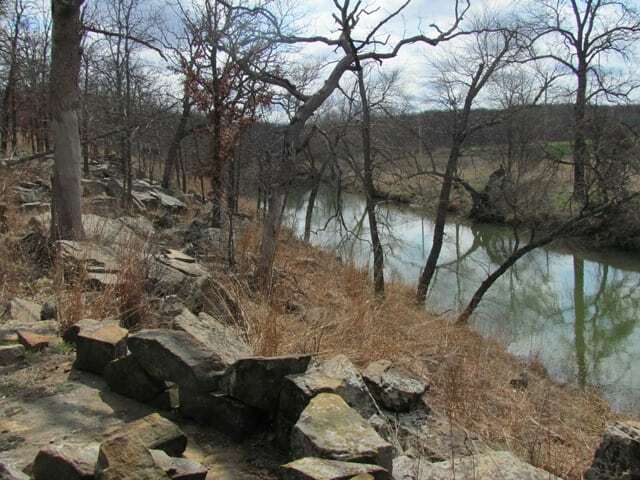 The quality fishing opportunities found in Little Rock Creek and the multiple ponds may be the ingredient that draws many people to this diverse Osage County landscape. Just as important as the hunting opportunities is the ability to enjoy the non-game animals and birds that are prevalent in this diverse ecosystem. A quiet sunset or sunrise may be the intrinsic value that makes this property so unique. 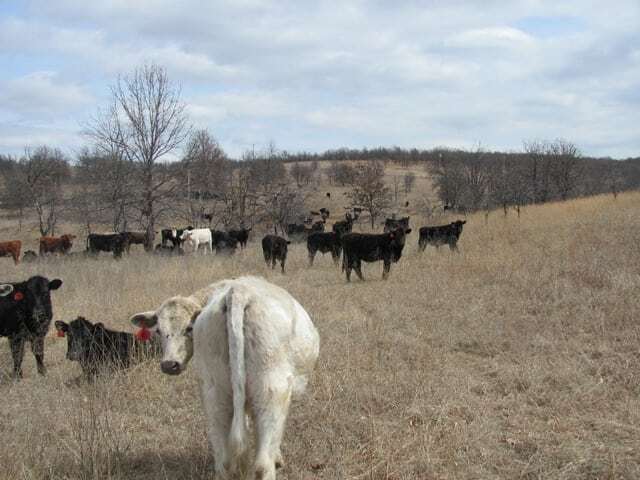 Oil Production: The minerals in Osage County are owned by the Osage Nation and the owner has the mineral lease on this ranch and adjoining ranches to produce oil and gas. Performance Energy is one of the more progressive independent operators in this area of Oklahoma. They take pride in maintaining clean well sites, tank batteries and their road system. 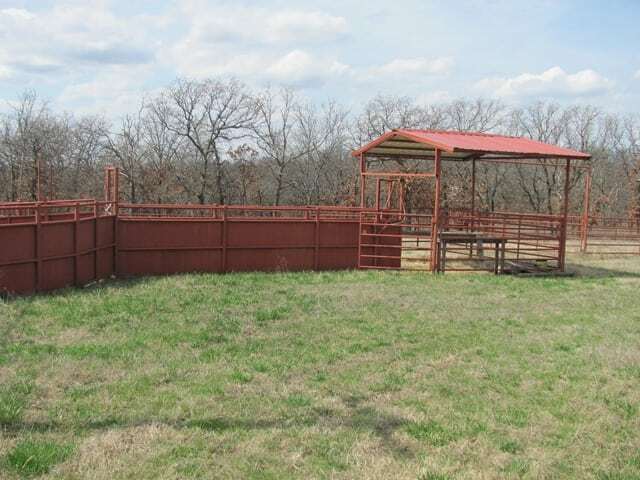 The roads enable access to much of the ranch and definitely are an added value to the property. Water: The availability of quality water has to be one of the outstanding values of this property. The three sets of improvements are served by rural water which removes the maintenance of wells. At the same time, the vast spring water reserves should not hinder the ability to possibly tap into additional water for livestock or improvements. 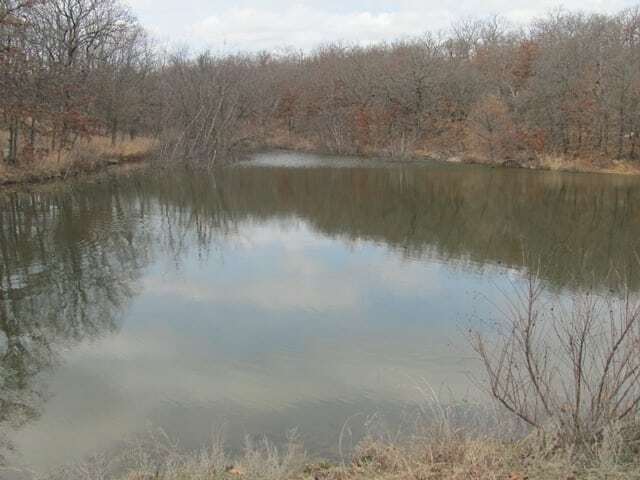 The property includes 14 stocked fishing/ livestock ponds and 4 miles of spring fed Little Rock Creek and its tributaries that provide numerous bodies of permanent water. Even during drought these watering points provide livestock water, fishing and recreation opportunities. Additional Information: The varied terrain lends itself to horseback riding, hiking, bike and ATV trails. The relatively short distance from Tulsa and Bartlesville is a value that should continue to grow in the coming years. Advalorem taxes in Oklahoma are generally favorable when compared to other areas of the country. The Accelerated Federal Depreciation that has been available in Oklahoma since 1994 has been extended several times. It is currently awaiting congressional extension. The ranch is in an area that is believed to qualify for approximately a 40% shorter recovery period for most non-residential depreciable property. The information in this brochure is from sources deemed reliable, but no warranty or representation is made as to its accuracy by the Seller and their Brokers expressly disclaim any liability for errors, omissions or changes regarding any information provided for this property.